How Should Young Men Dress? Elegant suits and gorgeous silk ties may look great on men, however not so much on young men. Men who are in their late teens and early 20s may be capable of paying for it. However, it is just a waste of money since they won’t be wearing it anyway. It’s way too formal for men who are in their 20’s. Likewise, it is unlikely that after college they’ll quickly get a position in large financial institutions or legal offices. Hence, suggestions on dressing well may not be useful for high school students as well as college students. Even for post-graduate students and men in their 20s who are already working. A nice suit is an amazing piece of clothing and good to own. Yet it’s not something that you’ll be wearing every time you go out with your friends. So what should you wear instead? The key is diversity. You can still look casual yet achieve a sharp look by adding new things to your style. Don’t worry you can still look chic but not overstuffed. Most probably, a lot of young men have some T-shirts, jeans, and sweatshirts in their closet. If you want to stand out then you should have a unique look. In order to look sharp and stylish at the same time, you should use your basic outfit and probably substitute some of them with nicer pieces that are not actually too formal. Typically, men usually wear jeans, T-shirts and sneakers. You can attract attention by wearing something a little different. 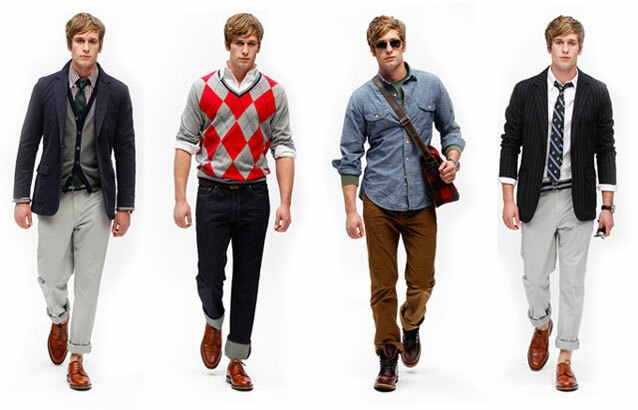 Here are some of the basic clothes that most young men wear as well as its matching alternatives. It can make you look stylish and casual as well. If you are used to wearing blue jeans then why not substitute it with colored corduroys, flannel trousers cotton slacks, or jeans with darker colors. Even the simple switching from blue jeans to dark jeans can already make you look stylish and can enhance your style. Always wearing T-shirts? Why not try swapping them with polo shirts, Breton tops, lightweight long-sleeves and other types of light clothing that are distinct and look stylish. However, if you still prefer to wear T-shirts then choose those which have solid colors. It must not contain any design. Most men love to wear hoodies. Well, perhaps now is the time to replace them with casual collared shirts, lightweight sweaters, cardigans, checkered flannels, vests, and others. When it comes to coats, the thick ones are meant for the winter. However, blazers and sports jackets can be a great match for your fall and spring outfits. Wearing T-shirt and jeans may not be enough. By adding a casual jacket to it, you can instantly change your look. Sneakers are too common. In order to upgrade your look, why not wear casual leather shoes. Or you might choose loafers, brogues, saddle shoes and others. There are infinite choices. If you want to wear sneakers then choose colored canvas shoes such as Converse All-Stars. These are just a few suggestions. Upgrading your look by swapping some items can really go a long way.